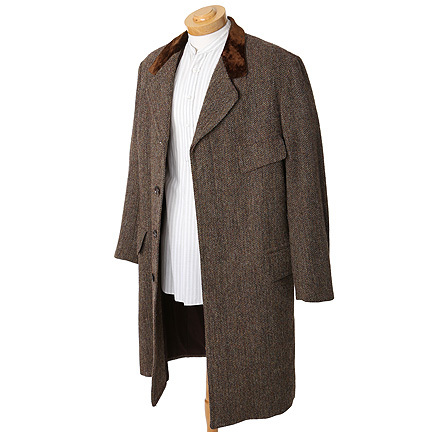 This costume was worn by the character "Alexander Hartdegen," portrayed by actor Guy Pearce, in the 2002 sci-fi film, "The Time Machine." 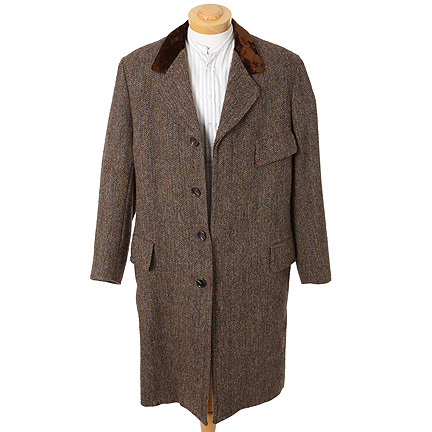 Included is a brown herringbone overcoat with velvet upper collar, cream and brown stripe long-sleeve placket front collarless shirt by Anto, and burgundy striped suspenders with “Reithoffer” metallic clamps. 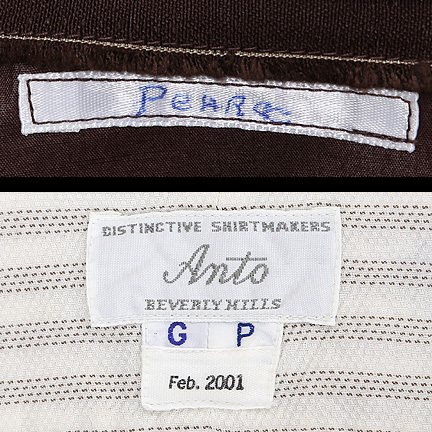 The name “Pearce” is handwritten on the interior of the coat and the initials “GP” and Feb. 2001 are sewn inside the shirt below the Anto label. 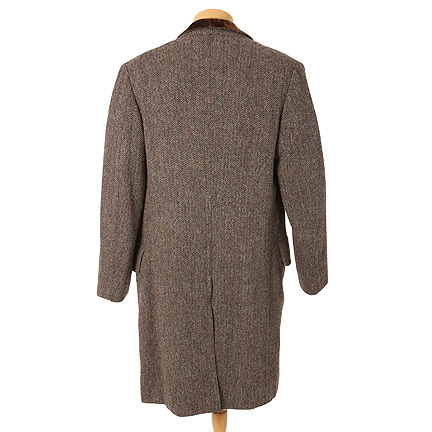 Mr. Pearce wore this outfit in the beginning of the film when walking through the streets with his friend David Philby (Mark Addy). 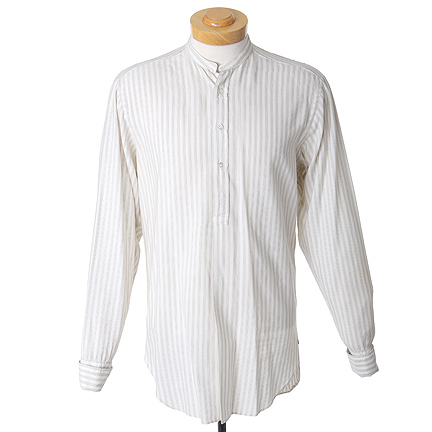 The shirt is seen when he removes his coat while working in his research lab. 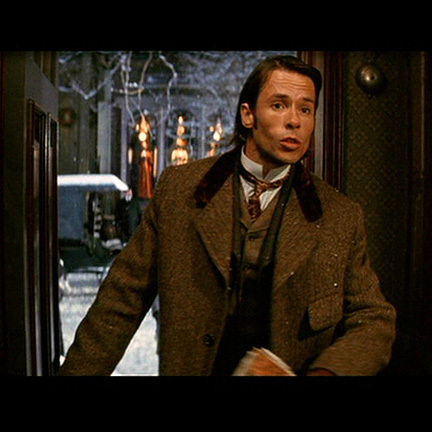 "The Time Machine," loosely adapted from the 1895 novel of the same title by H. G. Wells, features Guy Pearce, Jeremy Irons, Samantha Mumba, and Mark Addy. 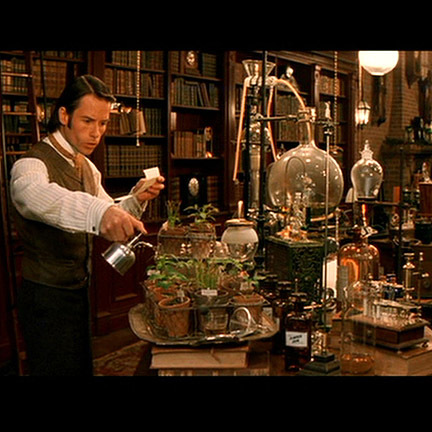 The film follows a 19th century inventor (Pearce) who, hoping to alter the past, mistakenly travels 800,000 years into the future, where he finds humankind divided into two warring races. 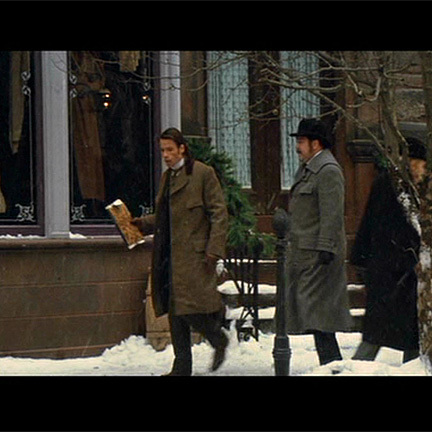 It was nominated for an Academy Award in 2003 for Best Makeup. 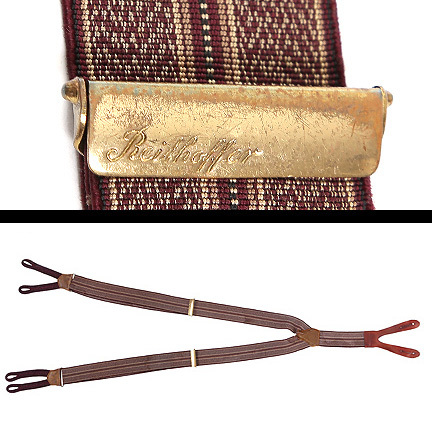 The garments are in very good screen worn condition and is accompanied by a letter of authenticity from the costume house.